Owing to the rich industrial experience and expertise in this business, we are involved in providing Scooter Cover. We are engaged in manufacturing and supplying of quality range of Vehicle Covers / Car/Scooter Covers. 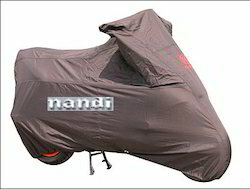 These covers includes motor bike covers, bicycle covers and car covers and are made of superior HDPE tarpaulin sheets. Further, these are provided in customized options to meet client's different requirements and specifications. 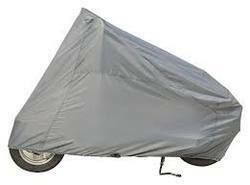 We Manufacrture All types of Two Wheeler covers for all the Bikes and Scooters/Mopeds/Bullet.. from Waterproof canvas. We also make covers for these vehicles from HDPE fabrics too which are cost effective and long lasting..